Oh how special this darling family is to me. 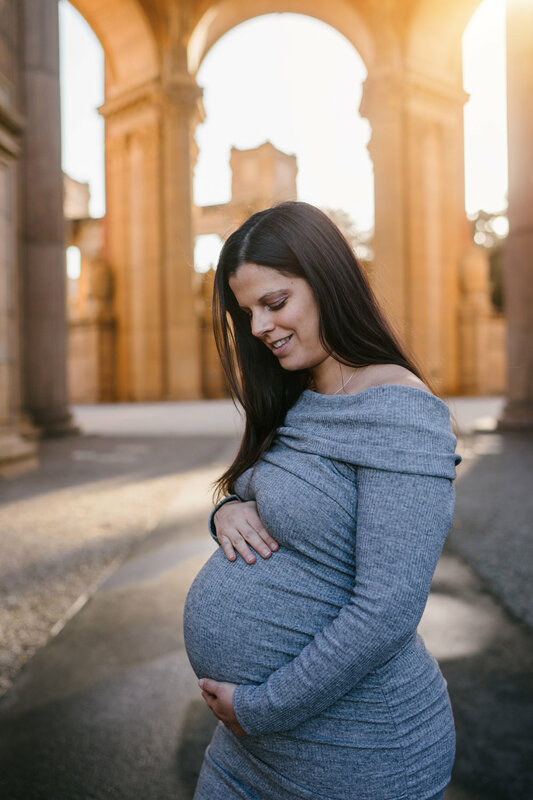 Any day now, Lauren & Matt will be expecting another little girl, and I'm so happy we were able to shoot these family maternity photos together at Stow Lake in Golden Gate Park. What you're looking at is a super mom, who shines beautifully through all the hard work and pain of building a new human whilst caring for another rambunctious & intelligent tiny human (big sis). I can't wait to meet the newest Van Horn... congrats L&M&S! p.s. 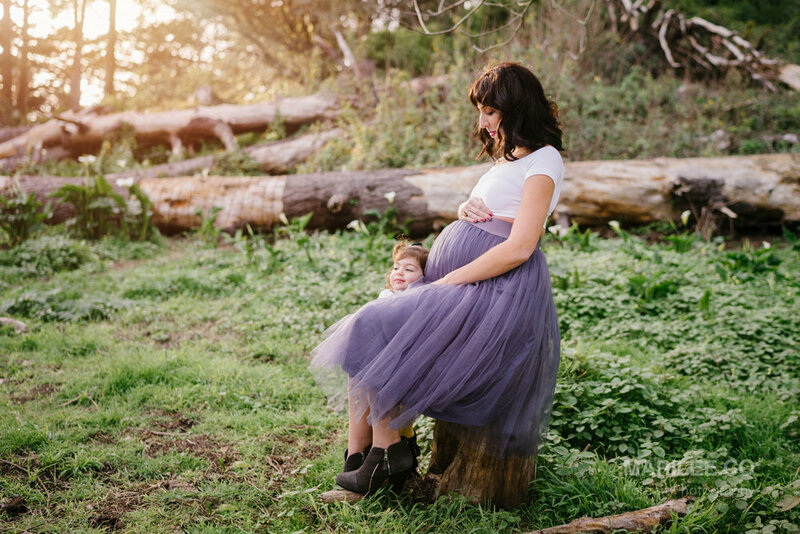 Yes, you've seen this gorgeous mama and her darling first-born before. 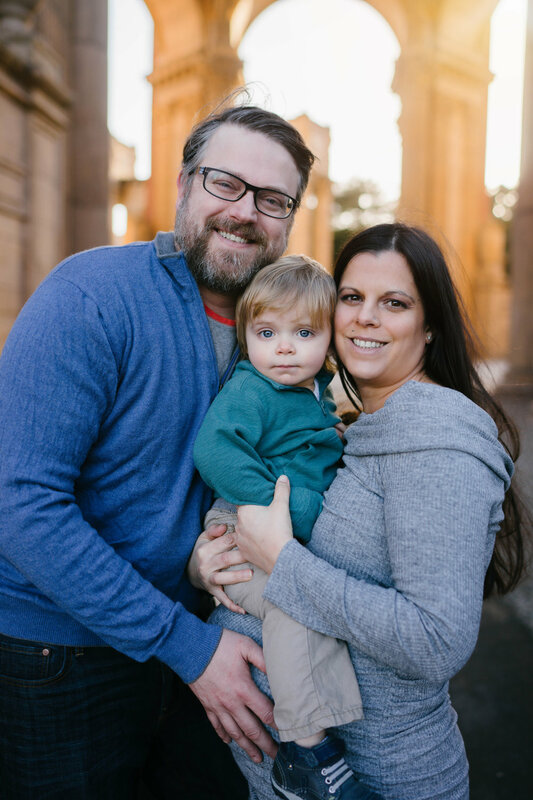 Check out their mommy & me session that they gifted to Matt for a 6 year anniversary gift! 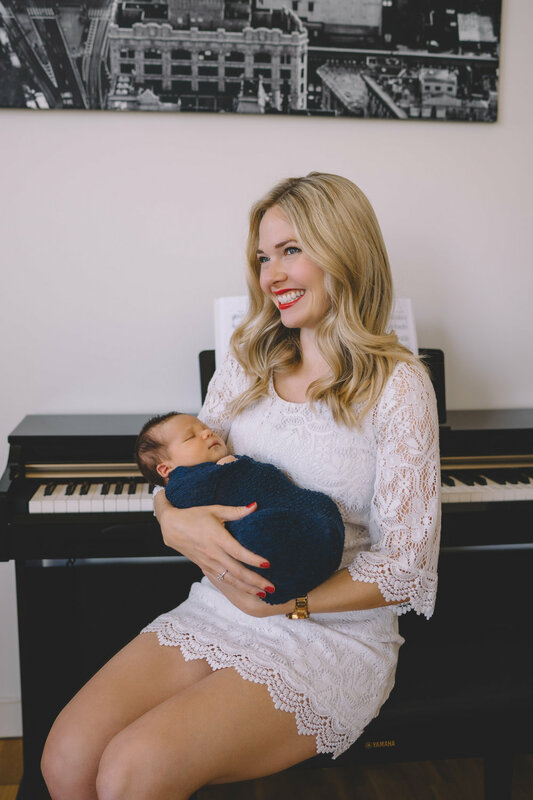 A common question I hear when talking to new parents who wish to have family photos with their newborn is: "Is it too late? Have I missed the window for newborn photos?" Often times, mommies and babies need extra time to settle in and recover (dads and siblings, too!). It's a huge life event to have a new person rock your world, so taking some extra time for yourself is really reasonable. 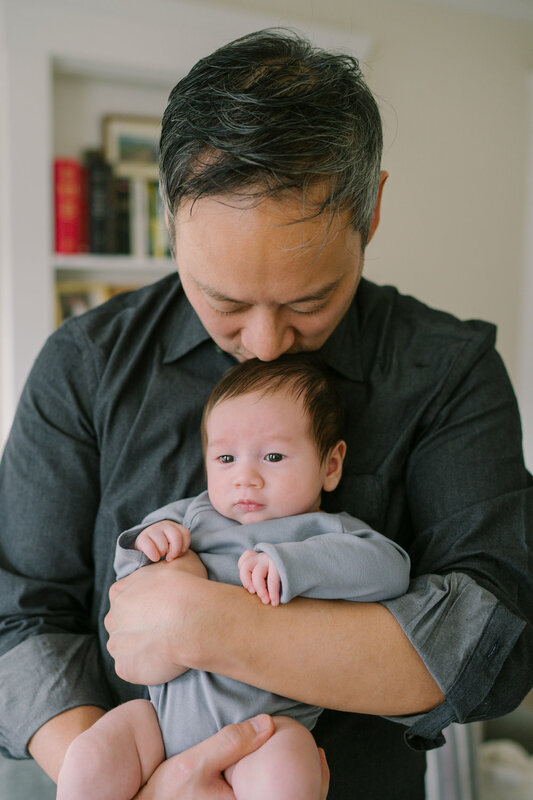 In short, the answer is it's never "too late" to have photos of your little one. Though sessions are designed for younger newborns (somewhere between 1 week and 1 month old), I work with newborns over a month old all the time. 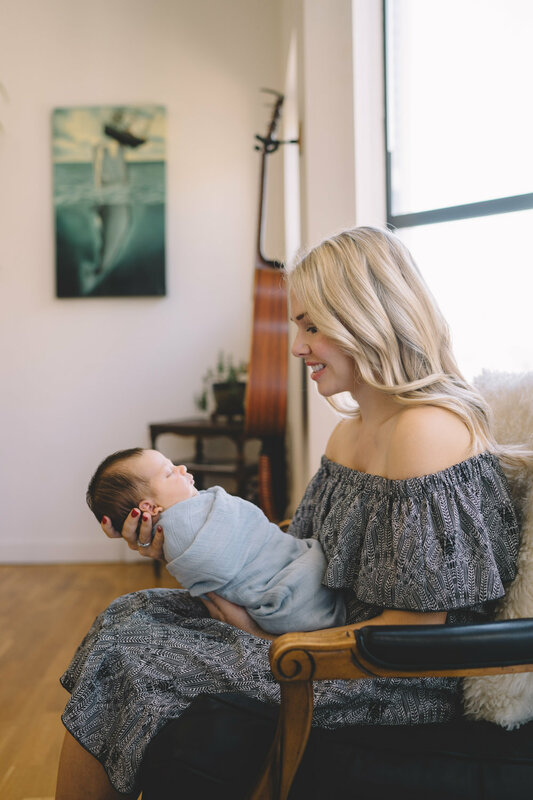 Simply put, we adjust the styling and pacing of the photo shoot to match baby's growth, and his/her wants/needs/opinions (yes, these babes have strong opinions!). We will see more of those beautiful bright eyes in an older newborn. A wider range of emotions. Because they're getting used to being in the outside world, and learning how adults will react if they cry or coo, we'll see more emotions that range from happy and silly to downright hungry and mad. And their mad faces are pretty cute, too. A growing physique including weight and flexibility changes. If you have a preemie baby who has grown toward their original due date, their adjusted age will reflect a varied amount of muscle strength, emotions/wake time, and comfort in styling. We will let baby and mom provide feedback on what's comfortable in terms of posing and wrapping. Above all, I make sure baby is safe and takes breaks for eating, changing, and cuddles. With that said, meet 7 week old newborn, Parker! He is so handsome; a perfect blend of his mom, Elizabeth and dad, Peter. We used props and scenes from his very first home -- all very unique to his family. 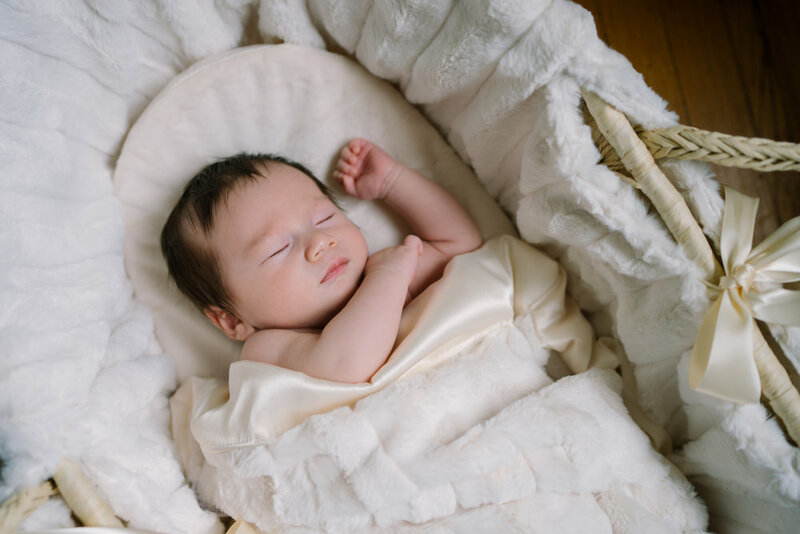 Check out his solo pics in his beautiful crib and his incredible bassinet! White on white could be my new favorite. 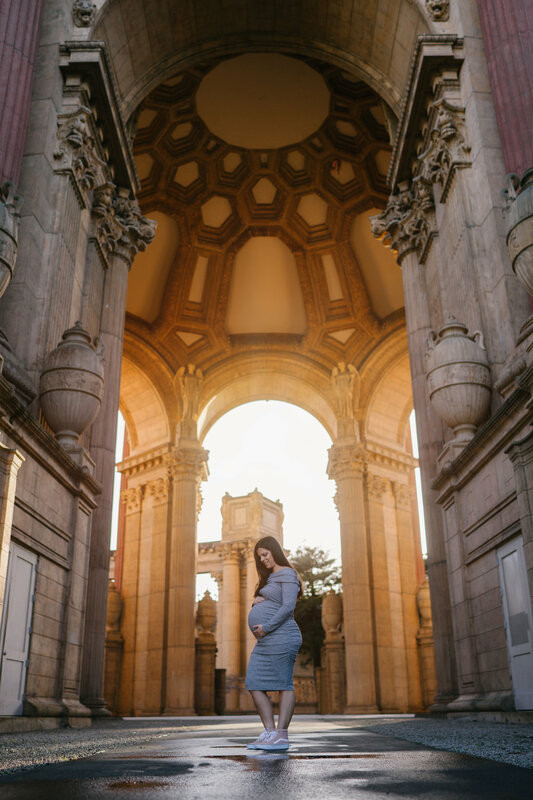 Announcing 2017 Holiday Mini Session Dates - San Francisco bay area! Tis the season for holiday photos once again! I'm offering a VERY limited number of 30 minute mini sessions in San Francisco. You'll receive your images 1-2 weeks after the shoot, perfect timing for those greeting cards and gifts you'll send to family & friends. Enjoy the session with your partner, yourself, your BFFs, or with your family of up to 4 (additional family & pets are welcome at $25 per person). Sign up by emailing your preferred date/city to stephanie@marilee.co. We'll agree on a shoot time and your slot will be saved first-come first-served upon payment of invoice (Square) and signing of photography contract. Open invoices will have those time slots released in 48-hours for others on the waiting list. Don't see a date or city that works for you below? Feel free to request another day and I may open up another block. Golden Gate Bridge. Huge grassy field. See the bay! Iconic urban SF neighborhood. Vibrant, bright colored backgrounds. Playground and coffee shops. Great for kids and parents. White and bright to showcase your bright and beautiful wardrobe. Clean lines and architecture. Great lawn. Added this date for the wait list! Spaces are limited. Reserved sessions with open invoices will be released in 48 hrs to the waiting list. Can't make it? Let me know 48 hours in advance of your session date. Act of God, sickness, or crazy bad weather? There will be a scheduled make-up date that may or may not be at the same SF location. Funds are non-refundable, but can be applied to a make-up session or future booking. Mini sessions are stacked. Kindly arrive a few minutes early, as the session must wrap on time. 2 week old baby Jackson is here! Congrats to proud momma and poppa, Corrine and Nicko.